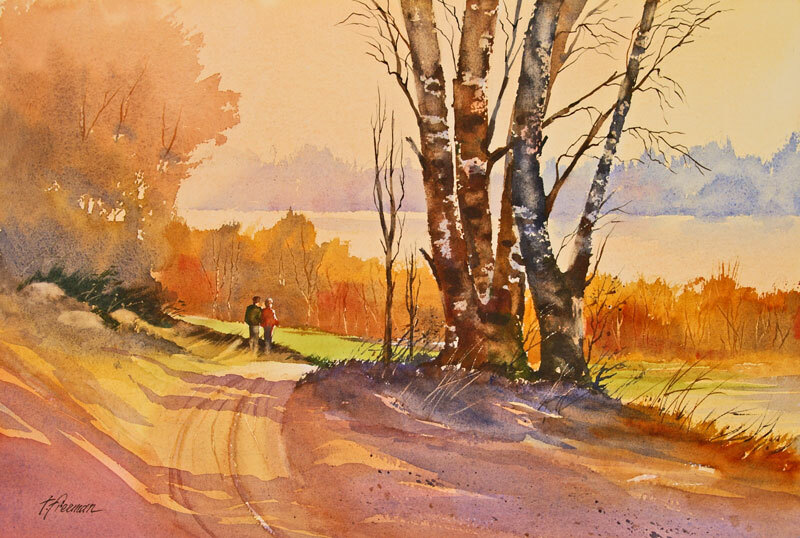 Thomas Freeman Original Watercolor Painting: "One October Morn"
I wanted to show this couple walking down the road toward the lake in a fall scene. In order to give the birch trees prominence and show their roughness, I painted the tree trunks horizontally with a credit card. Light direction is from the right and the red purple shadows show the definition of the road and hillside.